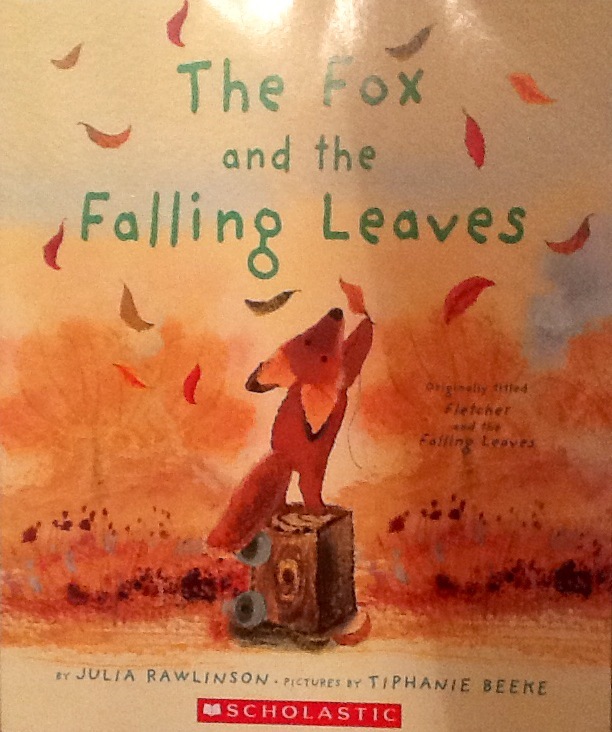 This entry was posted in Book Reviews, Katie, Picture Books and tagged Julia Rawlinson, Scholastic. Bookmark the permalink. I do hope there are no leaf blowers in Fletcher’s woods. I really don’t like their high pitch whine! Reminds me of O. Henry’s “The Last Leaf”. A loose children’s rendition, of course! What a lovely book to use to introduce young children to the seasons. I love the art, Katie – so appealing! – and the story sounds like such a sweet one. I can imagine Fox’s earnestness and worry! Thanks for adding this one to our list! This book is so beautiful! I wonder if I can still order it through the site. Maybe I can get one for my son’s classroom too. Thanks! A very sweet story and such beautiful illustrations that make it a must have. Thank you for a lovely review. Looks very sweet. I read a book to my son with a similar storyline … but can’t recall it now. So…I put all three on hold!